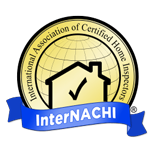 Our home inspectors know exactly what to look for in your Florida home or commercial space. With more than 35 years of combined experience, our inspectors are the perfect fit for your needs. Call 904-724-7200 right away to schedule a home inspection for the next 24-48 hours. At Elite Inspectors, LLC, we’ll pore over every corner of your home. Whether you need a basic home inspection or add-ons like wind mitigation, home energy or 4-point inspections, we make it simple for you to schedule an inspection, and easy for you to learn more about your home. Complete step number one to get started on your full home inspection today. We will also inspect your home for termites and other wood destroying organisms. Did you know that even newly-built homes need inspections to ensure that everything is working properly? If you recently built a home, you need assurances that your builders didn’t cut corners and that major issues don’t lie ahead. Call the home inspectors at Elite Inspectors, LLC to schedule a new construction home inspection in Jacksonville, FL today. The best Home Inspectors in the business. They are fast and they do quality work. They are very fair on their prices, too. Give them a call. You will not be disappointed.